UK advertisement regulator ASA has released an Influencer's Guide. The newly updated document details everything creators and marketers need to know about influencer marketing and advertising. 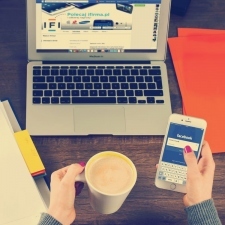 It covers a broad spectrum of topics, including advertising rules, what the ASA considers to be an ad, how to appropriately disclose when content is paid for and what happens if the ASA receives a complaint about a social post. As well as its own rules, the guide also includes guidance from the UK Code of Non-broadcast Advertising and Direct & Promotional Marketing (the CAP Code) and the Consumer Protection from Unfair Trading Regulations 2008 (CPRs). The 20-page document is hefty, so we've gone through it ourselves with a fine-tooth comb to collate all of the rules and regulations you need to know into one easily digestible post. To see the full document, head to the ASA's website. Digital adverts aren't as cut and dried as they seem. Influencers are still being caught out for not disclosing that a post is sponsored or adhering to the rules. The easiest ad to distinguish is a 'paid-for ad space'. They can be seen on all sorts of websites, pages and blogs. They're blocks of a page that a company has paid for, such as website banner ads or pop up ads. A paid social media post also counts as 'paid-for ad space'. For example, if a beauty influencer is paid a sum to promote a make-up product, that's an advert. The same rules apply if said beauty influencer is posting about their own brand of make-up. The influencer must disclose that the brand is theirs and that it's an ad. The same applies to any giveaways or 'promotional marketing' that an influencer posts to their own social channels. 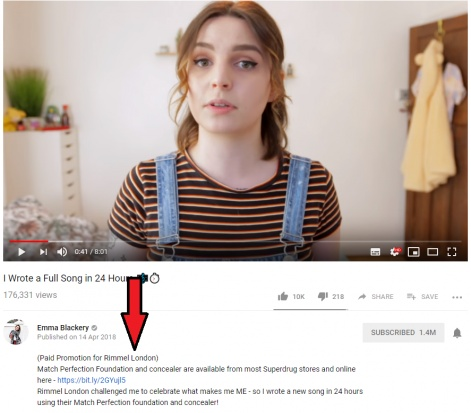 When a post contains a 'click to buy' link that results in an influencer earning a percentage of every sale, this also falls under advertising and must be disclosed. If an influencer is promoting multiple products in a piece of content and only some of the products are sponsored, the influencer must disclose which products they have been paid to discuss. Payment: If an influencer has received compensation to discuss a product. This can either be money or being sent free products by a brand. Editorial control: If a brand has had some form of editorial control over a piece of content, it must be disclosed. This includes a final approval from a brand. The content has to include both of the above points to be counted as an ad under the CAP Code. However, the Competition and Markets Authority (CMA) will consider an exchange of payment alone, be that money, free products, the loaning of a product, or any kind of incentive. What are the CMA's requirements? The CMA comes into play when consumer protection legislation is highlighted. Consumers need to know that the posts they're seeing are adverts. If a paid endorsement or commercial relationship between an influencer and a company hasn't been disclosed, a post risks breaking the law. What is considered 'payment' for adverts? The most obvious payment is money - a brand or company physically paying an influencer cold hard cash to discuss a product or service. However, companies can also dish out a number of other incentives that can count as a payment. This includes free products, allowing an influencer to borrow a product for a period of time, free use of a service, free gifts, all-inclusive trips or holidays and hotel stays. Being a 'brand ambassador' for a company also counts as advertising, even if an influencer has not been paid to promote a particular product or service. What is considered 'control' over adverts? Control is counted when a brand or company has any input into an influencer's content. This could be as simple as giving them a brief. The most obvious payment is money - but brands can also offer non-monetary forms of compensation such as free gifts, services and travel. However, companies can also dish out a number of other incentives that can count as a payment. If an influencer is told to post something a number of times or on certain dates, this is considered control. Brands could also tell influencers what to say or to use particular keywords, phrases or even a certain hashtag. This also extends to physical actions. For example, if a brand has requested an 'unboxing'-style video and the influencer has obliged, this is considered control. There are also cases where the influencer can have total control over their own content, but the company paying for it will want to check it before it gets published. This is also considered a level of control, even if the company approves the content without requesting any changes. Adverts and sponsored posts on social media must be 'obviously identifiable'. It's down to both the brand and the influencer to ensure that a sponsorship has been disclosed effectively. Using labels or hashtags that show sponsorship is the easiest way to do it. Using tags such as #Ad, #Advert and #Advertisement are good, clear ways to show that a post is an advert. The ASA recommends staying away from other ambiguous tags, such as #Spon, "In association with", "Thanks to" or simply @ mentioning the brand's profile. 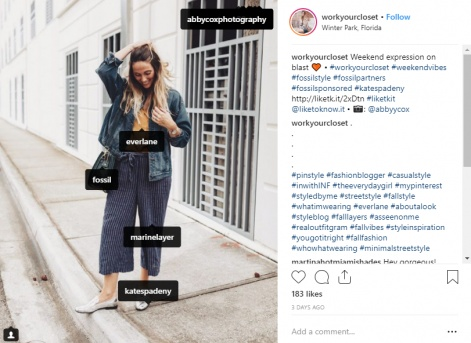 Influencers need to make sure that the appropriate tags and labels are at the forefront of the content, easy to spot without having to scroll or open additional text. The ASA also suggests putting the labels at the beginning of any editorial, outside of any other hashtags that might feature in the post. What happens if the ASA receives a complaint regarding an advert? The ASA investigation process is informal for the most part, but that doesn't mean it should be taken lightly. The board will begin an investigation by contacting the influencer and asking broad questions about the reported post. If it becomes apparent that an advert has broken the ASA's guidelines, the board will work together with an influencer and the brand involved to resolve it. This could be as simple as changing the advert to comply, for example, in cases where the disclosure could be a little more prominent. The ASA can also request that the post be removed, in which case no further action will be taken. However, the case will be listed on the ASA's website as an example of what not to do. The cases only include the name of the parties involved and the type of advert. If for some reason the case cannot be resolved by an influencer changing or removing content to suit the ASA's standards, they can apply sanctions to advertisers and creators. They can do this by referring the case to Trading Standards or Ofcom. Action from these bodies can result in further advertisements from a company being forcefully removed by internet search websites. The ASA will also prominently name and shame any companies that consistently break the rules and refuse to amend them. Disclose, disclose, disclose: If it's an advert, say its an advert. Say it first, say it loud. Don't hide #Ad in a sea of other hashtags. Payment is payment: Money is not the only form of compensation. Receiving free products, services, gifts or travel is considered payment and makes for a sponsored post. Self-promotion is still an advert: Discussing your own brand or product is still an advert. As is running a promotion, giveaway or competition. Age restriction: Ads for age-gated products such as alcohol, cigarettes or gambling cannot be targeted at young audiences. Be mindful of your demographic. Should you want to read the full Influencer Guide, you can find it over here.